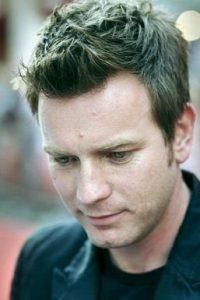 Ewan McGregor is “poster boy” for 974 Scottish people who donated their DNA to forensic science. The idea behind DNA Consultants’ ancestry product is simple. Test your DNA profile—the same markers used on TV detective shows—and see if the numbers match known populations as collected by forensic scientists. The key is a standard table of 30 variables or “alleles” called short tandem repeats (STRs) gathered from across your chromosomes. Our new Population Pages describe in fascinating detail more than 450 world populations you might match, from Albanian to Yemeni. Check out your ancestors by clicking on the links. If your profile is relatively common in Northern France, it stands to reason you share some degree of ancestry with living Parisians, as reported in a forensic publication. Without a shared origin, the numbers could not otherwise agree. STRs do not mutate but are passed down unchanged from parents to offspring, generation after generation. Multiple matches with various populations reveal intertwined ancestries of the sort most of us have. A customer receiving a match to Israeli Jews has a DNA profile matching forensic samples from 163 unrelated mixed Jewish Caucasians of both sexes obtained by the Department of Human Genetics, Tel-Aviv University, Israel in 2004. In other words, 163 Israeli Jews turned up in Tel Aviv in response to a call for the study and said, “Yep, I’m Jewish and I live in Israel and here’s my DNA.” The study was published and is now part of our DNA database . Ten years after its introduction, the DNA Fingerprint Plus is still unique and unrivalled. It is the only test without gaps or bias. We are the only company with Cherokee, Jewish, Romani-Gypsy and Melungeon data. We expect to have full coverage of countries of later this year with the addition of Bulgaria, Latvia and Ukraine. All the others are in place. The test also gives you “megapopulation” results, ranging from American Indian to Southeast Asian. Armenian data have been notably lacking until now but will also be added before the end of the year. Of course, no population is pure or unmixed. It is not possible to give “percentages” of any ancestry. The DNA Fingerprint test is not based on direct observation of hundreds of thousands of nucleotides or chemical signatures in your genome. But neither is it based on theories and suppositions of ancient migrations. It matches you statistically to living populations on an overall comparison. Our Cherokee page has drawn a lot of attention. Plans are under way to expand both our mitochondrial and autosomal samples, as reported on our Cherokee DNA Studies page. If you would like to participate, write to Jakay Jarvis, project administrator. Enrollment is open through December 31, 2016.